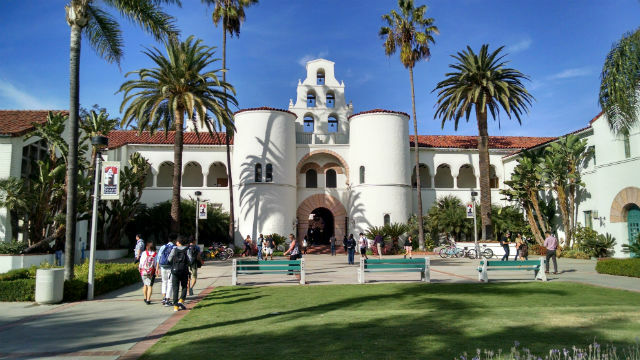 San Diego State University will welcome more than 11,000 new students, including 5,700 freshmen, when classes resume on Monday. The university said the average high school grade-point average for the incoming freshman class is a record 3.73 and students of color represent 31.5 percent of the new class. Students will find the new 302-bed Montage residence hall for sophomores, a re-opened Tenochca Hall, and interior renovations to the Villa Alvarado, Granada, Cuicacalli and Chapultepec residence buildings. A number of campus beautification projects were completed over the summer, including new terracing and steps that can be used as outdoor classroom space at the Engineering and Interdisciplinary Sciences Complex. The university’s annual “welcome week” period will include a campus carnival Friday from 10 p.m. to 2 a.m. along Campanile Walkway, with a 40-foot Ferris wheel, bumper cars, game booths and a DJ.